It contains at least 200 different compounds with the most important ones being the curcuminoids, including curcumin, which give it the distinctive yellowy orange colour and makes up around 5% of the powder. It is of course used widely in cooking, in dishes such as chicken tikka masala, but it is the potential health benefits that are currently creating a lot of headlines. Thousands of scientific papers have been published looking at turmeric and curcumin but almost all have been conducted in the laboratory, on animals or in petri dishes with very few human clinical studies. It has a range of pharmacological properties including antioxidant, antibacterial, antifungal and anti-inflammatory activity, so it certainly has the potential to be a useful health supplement. The main reasons why people take turmeric are for osteoarthritis and rheumatoid arthritis and for cancer. The evidence for these conditions is detailed below. There have been only a few small clinical trials on turmeric for osteoarthritis. One study tested a formulation containing a component rich in curcumin in 42 patients with osteoarthritis for one month. The main finding was that the treated group reported a positive effect on pain and mobility. A larger study of 100 patients with osteoarthritis also found significant improvements. 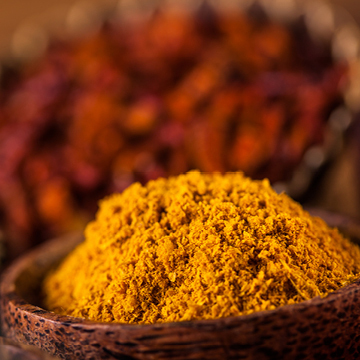 In addition, a pilot study has assessed the safety and effectiveness of curcumin alone, and in combination with diclofenac sodium in patients with active rheumatoid arthritis. There was an improvement in most patients with the largest improvements being in those who took the curcumin. I would like to see larger studies demonstrating that turmeric or curcumin are effective for different forms of arthritis before strongly recommending it. As someone who does a lot of talks to groups of patients with cancer, I know that turmeric is one of the complementary therapies that is of huge interest at the moment. It is difficult to understand why there is such renewed interest as there are no new, compelling studies. One of the main theories is that there tends to be low rates of certain types of cancer in countries where people eat lots of curcumin over long periods of time. This could also be due to other factors relating to those countries. However, a number of pre-clinical and small clinical studies have shown promise. The Cancer Research UK sum up our current knowledge when they state that …”we need to do more clinical trials in humans before we will know if curcumin has any potential to treat cancer in people." The usual dose for adults is 500mg four times a day. There are also a few things to be aware of. It can interfere with blood clotting medications and can also increase the effects of other herbal products which can slow down clotting, such as garlic, ginger and ginkgo. Another interaction to be aware of is for patients with diabetes, as turmeric can lower blood sugar it can increase the effectiveness of diabetes medications and potentially cause hypoglycemia. 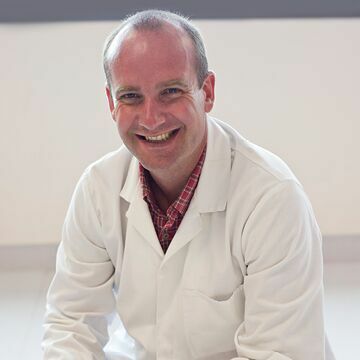 Professor Shaun Holt is a New Zealand based doctor, researcher, author, commentator, speaker and advisor.